I once heard a liberty-oriented radio host say that just compensation (for the taking of private property for public use) used to require the consent of the property owner. 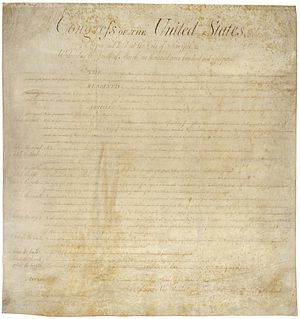 While that may be, it wasn’t a requirement in the minds of those who drafted and ratified the Bill of Rights — the first 10 amendments to the U.S. Constitution. If they had intended just compensation to mean consent, they would’ve said so, just as consent of the property owner is explicitly mentioned in the Third Amendment. The taking of private property for private use, however, I’d argue, does require the consent of the property owner, according to the Fifth Amendment to the U.S. Constitution, and common law.